Here at Holmhurst we have been providing residential care and support for younger adults (aged between 30 and 65) with mental health problems for more than 20 years. 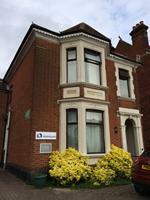 We are a small, friendly Care Home situated in Portswood, a suburb of Southampton. We are registered with the Care Quality Commission who ensure that the standard of the support and care we offer meets Government guidelines. We are able to accommodate 16 service users, mainly in single room accommodation, most of which have en suite facilities.